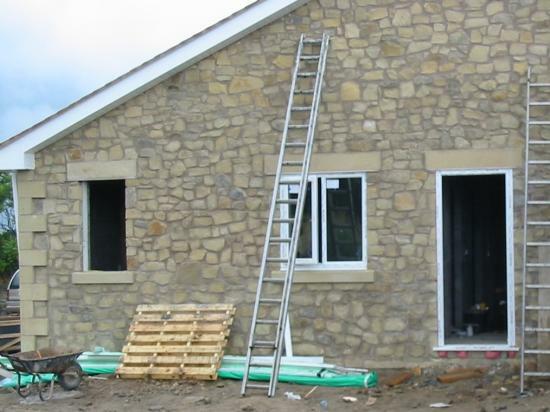 Whether you are involved in a new build, home extension or restoration, we can help you create the look you are after with our expertly crafted stone lintels. 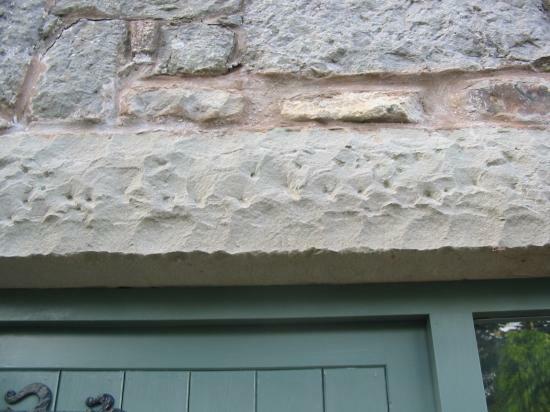 We design and manufacture stone lintels by combining traditional stone masonry techniques with modern technology. 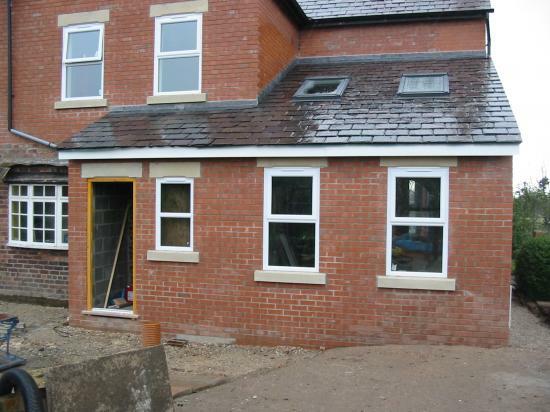 That allows us to create lintels for all kinds of buildings and ensures we give you the exact look you want. 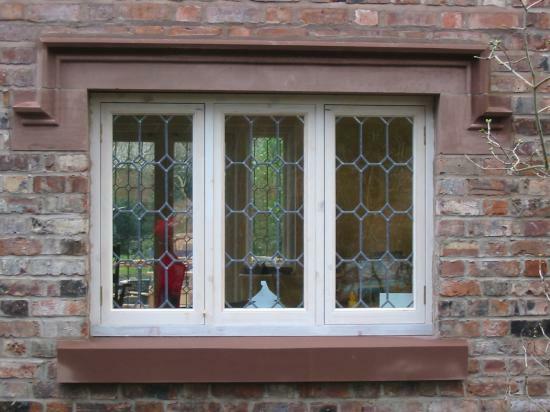 We’re very happy to base our work on your architect’s drawings or alternatively we can design the lintels. 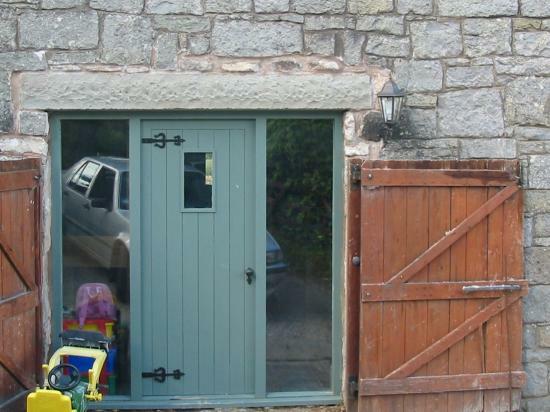 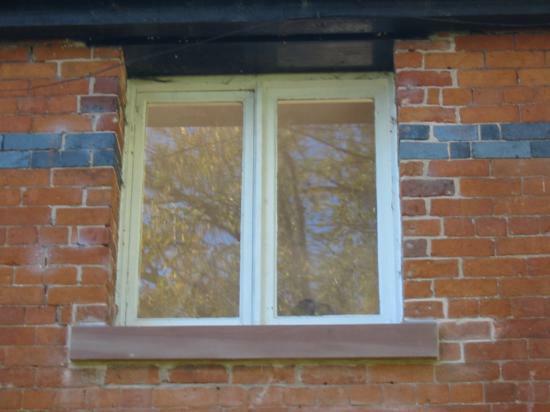 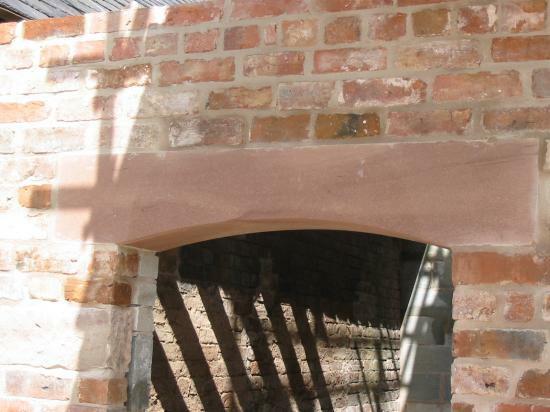 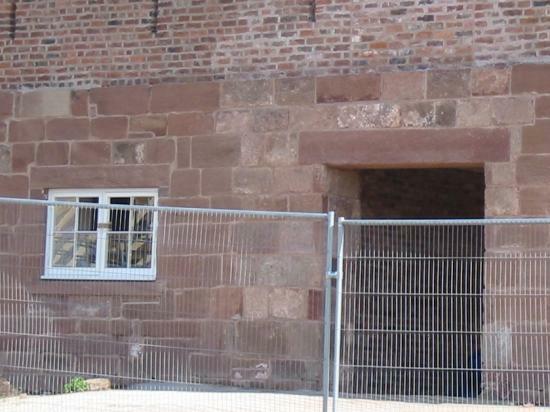 We’re experts in working on older properties including listed buildings and restoration projects, and will hand tool the lintels using traditional methods to achieve exactly the right look. 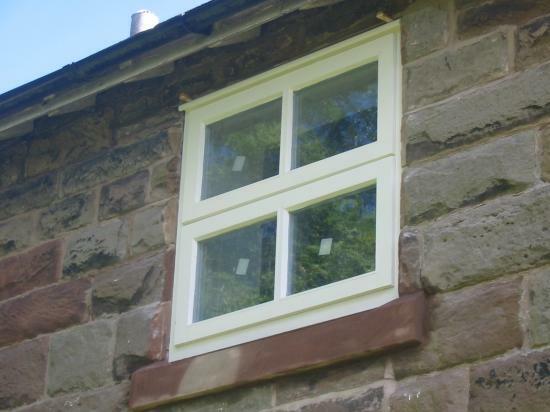 For customers based around Chester or Wrexham, or even further away in Cheshire, Flintshire, Denbighshire or the Wirral, we can come out to your site if required. 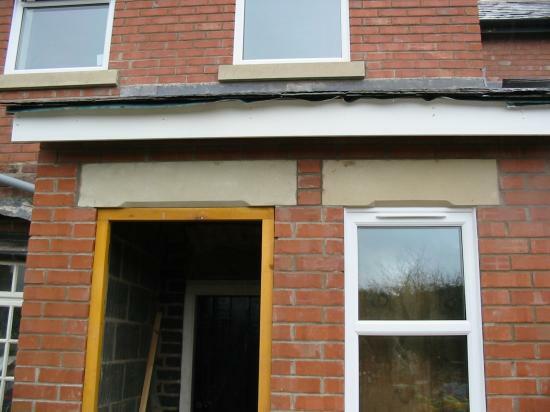 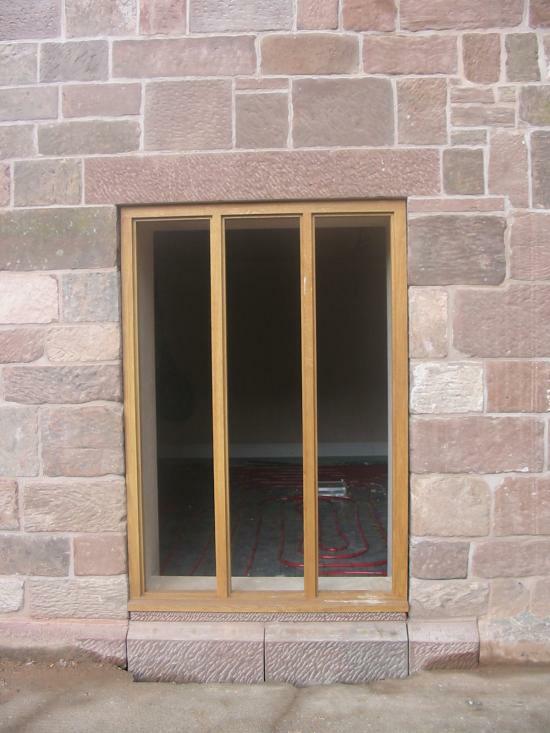 We’ll take exact template dimensions to ensure all existing details are reproduced accurately on your new lintels. 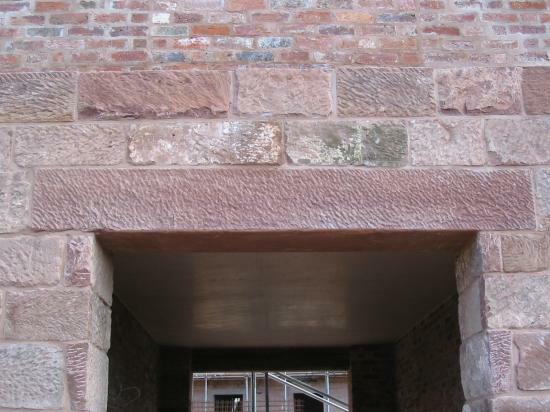 You are very welcome to visit us to see what we have in stock at our Wrexham yard including a selection of sandstone such as Cheshire red sandstone. 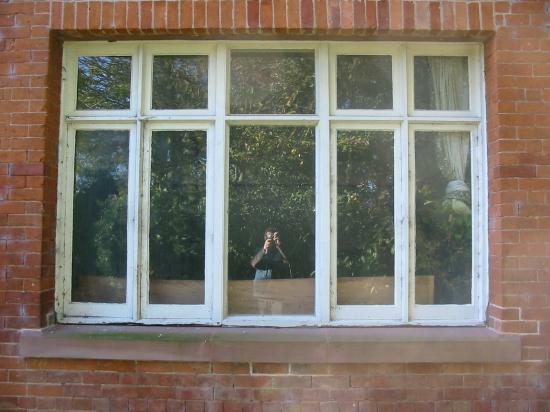 Just give John a call on Wrexham (01978) 664006 to arrange a time. 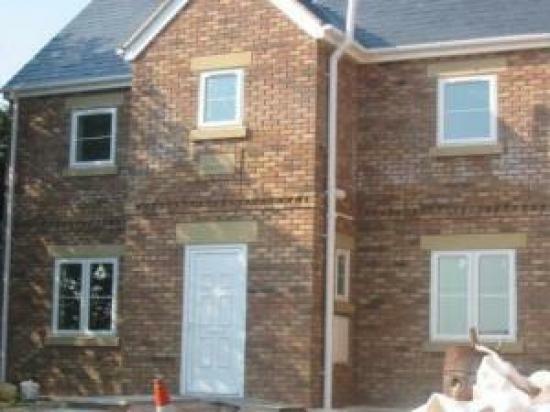 As well as calling, you can also get in touch with us if you’ve any queries or want to arrange a site visit by emailing mail@jbstone.co.uk. 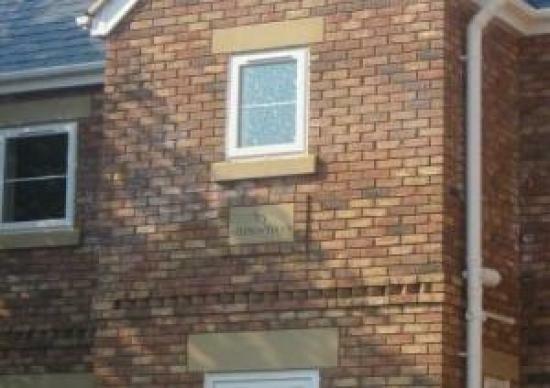 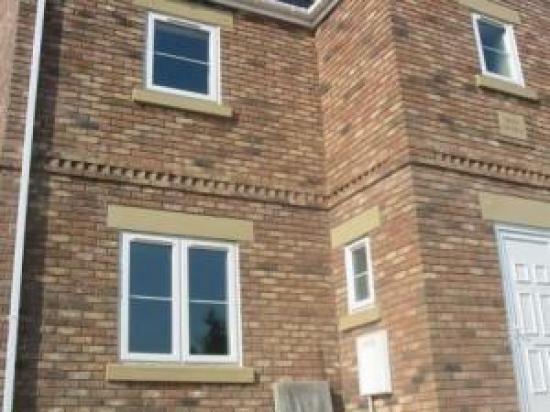 If you already know the stone types and measurements of the lintels you require, you can request a quote by completing the details at the bottom of this page. 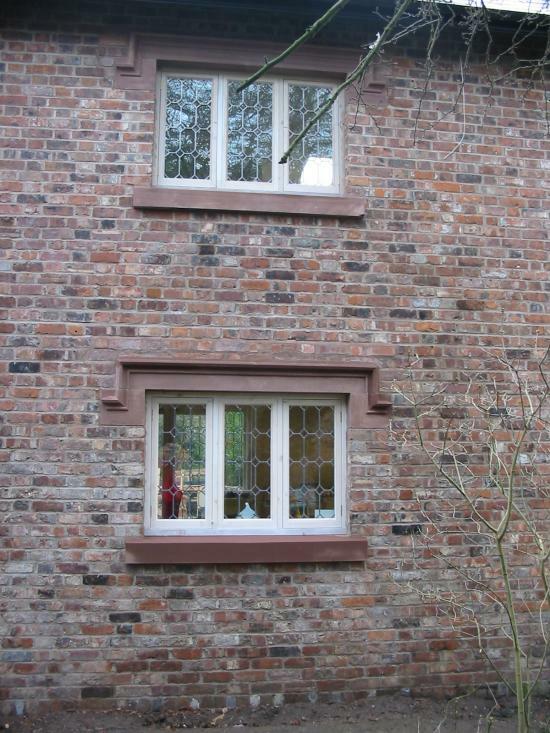 You’ll also find some examples of our stone lintels below. 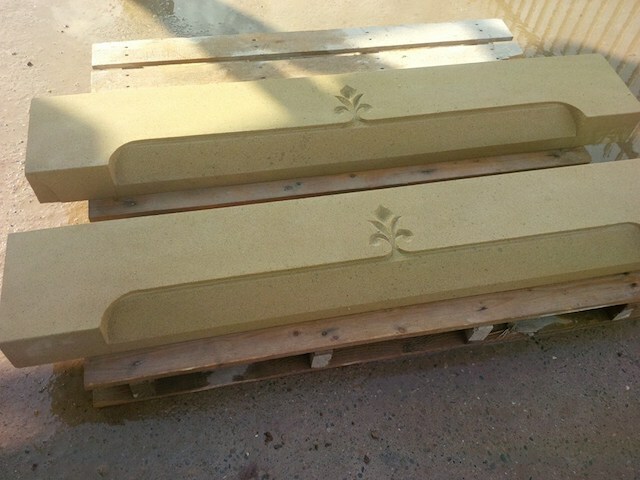 Lintel prices start at £70 per metre plus VAT. 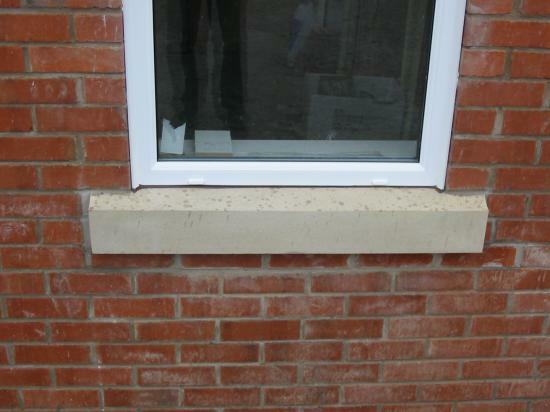 The starting price is based on a 215mm high lintel made for a modern cavity wall. 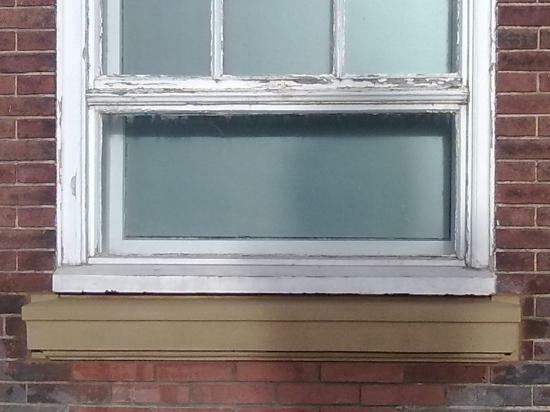 For a precise quotation, please fill out our form below. 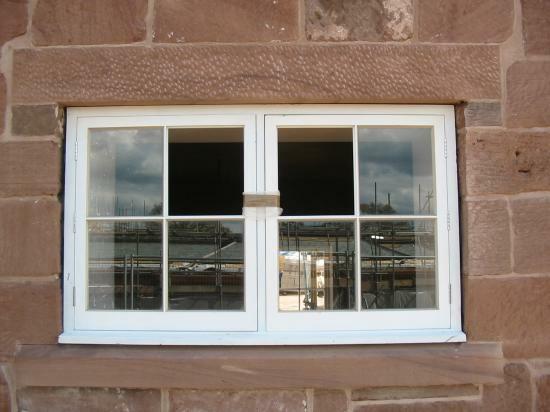 Please add the lintel dimensions to the above boxes (as indicated by the drawing). 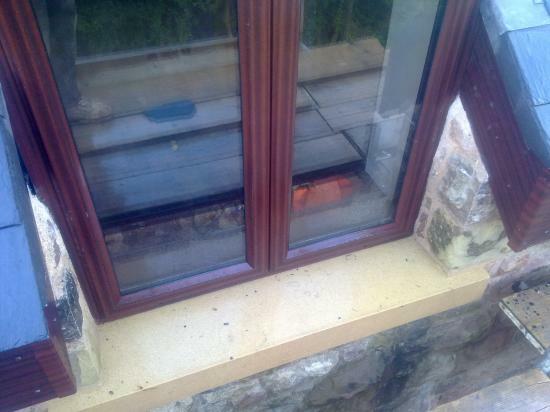 Feel free to use metric or imperial measurements but please let me know in the notes section which unit you have used.